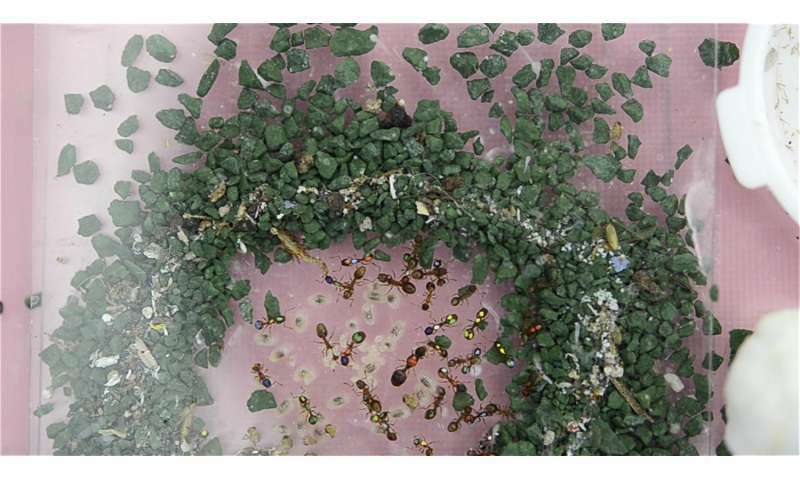 Observing colonies of ants maintained in the lab, Charbonneau found that an average of 40 percent of individuals are mostly inactive, with some variation between seasons, colonies and species. And his ants, which belong to the species Temnothorax rugatulus, don't appear to be freaks of nature, Charbonneau says, as similar patterns can be observed in other social insects, even honey bees. Charbonneau and his doctoral adviser, Ecology and Evolutionary Biology Professor Anna Dornhaus, published those results in 2015. At the time, the researchers could only speculate over the purpose of keeping around hordes of inactive "workers." In a new paper, published in the open-access journal PLOS ONE, authors Charbonneau, Takao Sasaki of the University of Oxford and Dornhaus show for the first time that inactive ants can act as a reserve labor force. When they removed the top 20 percent of most active workers, they found that within a week, they were replaced mostly by individuals belonging to the "lazy" demographic, which stepped up and increased their activity levels to match those of the lost workers. 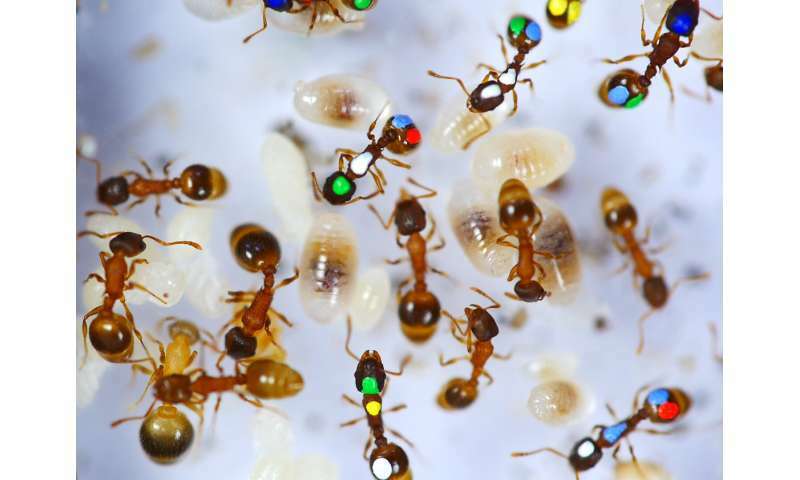 Various functions—from serving as living food stores to laying eggs for consumption by their nest mates—had been suggested by other researchers, and Charbonneau investigated several of them through experiments involving marking individual ants in a colony and tracking their movements through video recordings. 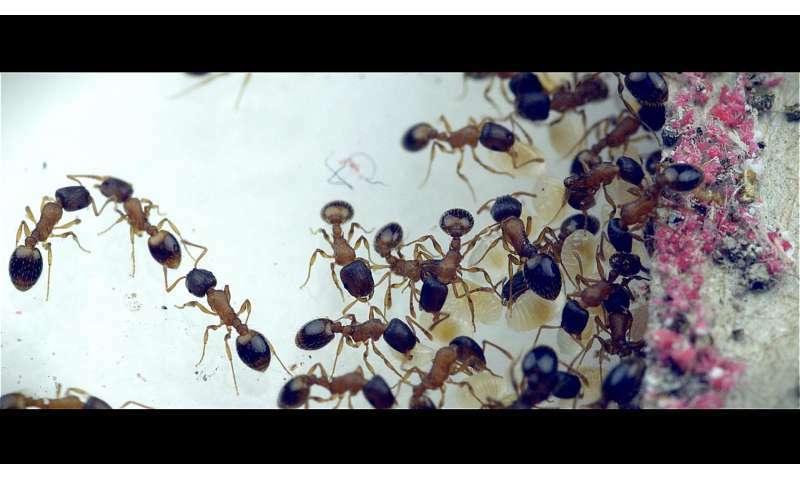 In Arizona, colonies of this particular ant species are found at higher elevations—for example, on Mount Lemmon northeast of Tucson, where Dornhaus and her lab members go to collect them. Because the animals have rarely been studied in the wild, researchers don't know much about their life history, according to Charbonneau. Can an ant be employee of the month? You see what's going on here, don't you? The ant are smarter than people give credit to, the ant knows if it works hard then it will consume more colony resource than if it goes sleeping, and ants are aware of the colony's resources, if the resource of the colony is inadequate then existing ant goes into idle to save energy (and other ant continue working), and when working ant goes missing due to an incident, then the idle ant are aware of the surplus in colony resource, and the idle ant will wake up and goes to work. We human don't have this analogue in real life, we only have this in machine & computers.